Jason Allan Ferris was born on Super Bowl Sunday January 26, 1992. At the age of four, he began eying his dad’s drum set in the attic of their home in Toledo, Ohio. When his dad brought them down a few months later, Jason took to them like a duck to water. Before he turned five, he was holding persistent beats, accented with four-stroke rolls and other rudiments. Immediately, he knew his calling. Around the same time he first picked up a pair of drumsticks, Jason gave his life to Christ. Since that time, he never stopped playing, never stopped learning – continuously studying various drummers and music genres, stretching himself beyond his current skill level and growing in his walk with the Lord. 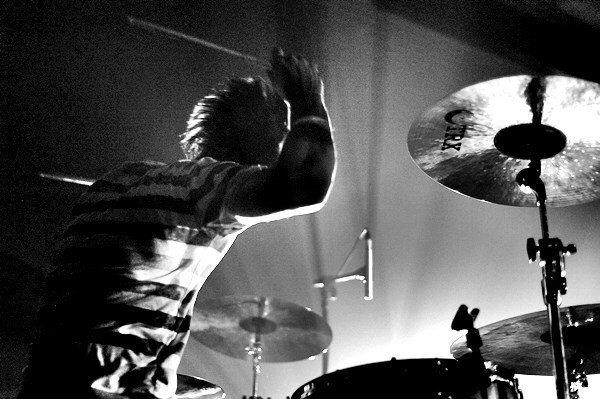 At age 11, Jason began playing publicly – drumming with the music team at his church. For 10 years he occupied this position, as well as drumming in a local Christian rock band with his sister and a couple of friends. In August 2010, only three months after graduating from high school, Jason’s abilities were procured by rock band Southbound Fearing, to fill in for a few months. His fit with the guys and his drumming skills were so greatly valued that he began playing with the band full time and at full speed ahead. For nearly three years, Jason occupied that position – touring and recording nationally at some of the highest levels in the industry. During that time, he learned much and grew as a musician. He recorded two full-length albums under Red Cord Records (“Southbound Fearing” 2011 and “Bad Dreams & Melodies” 2012). Both albums produced several singles that reached the top ten on the Billboard Christian Rock Charts. In January 2013, Jason resigned from his role with the band in order to move on to other opportunities and to start his own ministry in music, The JRummers. Since making that transition, for the first time in three years, he spent a substantial amount of time at home to establish his new ministry and business. In August of 2013, The JRummers recorded their first album with veteran, Christian hip-hop artist, Moses “Snowman” Daivd. The album, “Rock Star Drop Out”, was released in June 2014. After his departure with Southbound, Jason was being prepared for a new journey in life without even knowing it. During that time, he had been given a renewed passion to use his talents in music and completely surrendered his desires in order to do the will of his heavenly Father. Through a series of divine circumstances, Jason was granted his heart's desire in May of 2014. He was able to accomplish one of his life's aspirations and is now able to play music full-time. Currently, he is the drummer for Christian Pop/Rock band from Sioux City, Iowa, Bread Of Stone. Since joining the band, Jason has recorded on several more albums and has had numerous singles reach The Billboard Christian Charts including a #1 Rock Single. Today, you can catch Jason performing with the band all over the country and serving other drummers and bands alike as a crew member for the band's production company - BNY Productions. You can hear him and his wife Skylar Kaylyn world-wide across radio waves as they host "The Jason Ferris Show" on Proclaim FM and iTunes. You can also find Jason working as a Live Performance Producer helping other artists develop their live show. As for Jason, he will forever remain passionate about drumming, and he will continue to use his gifts and follows God’s calling on his life.